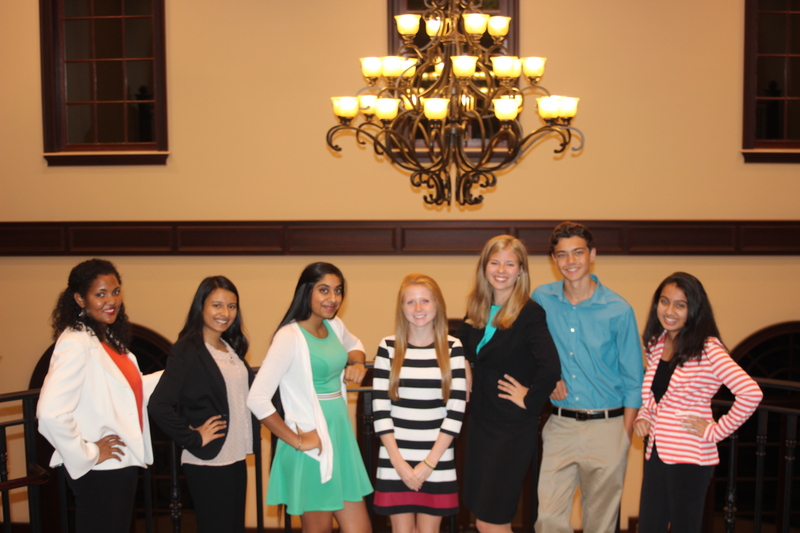 The 2016-17 Youth Council took the oath of office at the City Council meeting on Monday, October 10, 2016. The Youth Council consists of eight high school students from Buford, Lanier, and North Gwinnett High Schools. Students were selected through an application and interview process involving city staff and Council Members. In its third year, the Youth Council welcomes three new members and five returning members, one of which has been with the Council since inception in 2014. Through the work of Council Member Sullivan and city staff, the Youth Council has become an example for other cities to follow. City staff was recently invited to sit on a panel at a state-wide Youth Summit regarding the formation of Youth Councils. The Youth Council has also received international recognition and is working with a team from Germany to develop relationships with Youth Councils around the world.